Activate Your New Customer Service Channels Today! This weekend I attended the Oakville Networking Un-Conference on Social Media and engaged in discussion on Social Media and Customer Service. In an attempt to communicate the benefits of Twitter and Facebook in a simple manner I positioned them as new customer service channel which, as Jay Baer & Amber Naslund note in their fabulous book “The Now Revolution“ have replaced the telephone as a communications channel! These days when I am asked by a small business owner “When is a good time to get active with social media?” I reply – “If the phone rings in the office, when do you pick it up? First ring, second, third? Who picks it up? Your receptionist, your assistant or you? Imagine that the tool you choose to manage your Facebook and Twitter accounts with, be it Hoot Suite, Social Scope or Post ling is your new telephone. How will you respond to its data?” Naturally in order to connect with a potential client in the past you listened for the ring and answered it. With Twitter and Facebook you must both create the content and manage the response that arrives in the form of mentions and re-tweets, comments and posts. Like a new phone that has just been connected in your office – you will make your clients aware of your business phone number by some form of marketing be it a business card or print ad. When it does finally ring you will strive to respond in a manner that creates trust and credibility in order to move towards a point where you can offer up your service with the intention of making a sale. This occurs, of course, once you have determined there is a need for your offer. If no need is apparent you can continue to educate the potential client on your area of expertise with the hope that when the time is right you will be top of mind. 1. MEDIA – The platforms of Facebook and Twitter both reside in the cloud connected to the internet. This media is not new we have been utilizing for at least a decade, first with email, then with a website. 2. USER CENTRIC PHILOSOPHY – The internet has evolved to place where the user – customer, consumer, client is at the centre. This shift was driven by search engines – in particular Google. Now social media based on networks have arisen to allow your customer to build their own profile and connections and if they choose – they can include you in their network. If you win their trust and crediblity, if you engage with interesting content and insights that same user can easily share your posts, updates and SMS –(real time micro-blogging) to their networks.. These key factors allow for real time conversations powered by social media. When fully utilized this new division of your business can generate leads, engage customers, spearhead campaigns, provide market research and gather consumer insight – all through the simple acts of listening, engaging and conversing and is a must have for all wise leaders “looking to work on their business rather than in their business.” If you find you do not have time to manage these channels then it is smart to outsource it. Hire someone to do it -even on a part-time basis who is media savvey and knows how to sell. An hour a day is a great start and the long-term benefits will serve you well. The history of advertising began in the late 1880’s with the basic assumption that the product for sale would give you what you need. For almost one hundred years that concept was delivered as a one way message through various media like print, radio and television. While big businesses used the services of large agencies most small businesses have relied on “word of mouth” to get the word out. It was not until 125 years later that marketing began to take on the role of helping businesses to grow by providing services that were accountable, interactive, integrated and targeted. With the new media of computers, mobile phones and the internet connecting people and extending their reach – a new way to communicate has emerged. Over the last three years the rise of Social Media is radically changing the way in which business is conducted. Social Media brings with it a quantum shift in HOW we connect and share information with customers, suppliers and other businesses. Ironically this new form of media amplifies the power of “word of mouth” as people share electronically with their friends, family and business acquaintances (their social networks) information that is relevant to them. The good news is that the era of very expensive one way mass marketing is no longer effective. It has been replaced by online marketing which is the most cost effective way to connect and creates the greatest return on investment. Investing in Social Media is a wise decision and highly recommended. The bad news is that social media is so new that many business owners are frightened by the change that it brings. 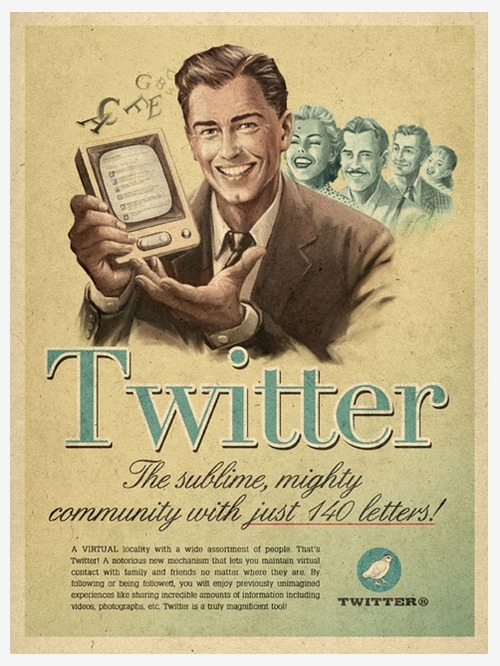 Giving up the phone for a piece of software that manages tweets in hard to fathom. One of the first topics up for discussion at the UnConference was “Social Media is nothing to Fear”. Just as the phone and fax transformed the way business was conducted in the past social media is doing the same right now. As a business leader it is wise to position yourself ahead of the curve. Have no fear, for this time around it is the consumer who will benefit the most – keep in mind that people like you and I are also consumers who seek better access to information on products and services we buy. The more we participate in this experience the more we reconginze how this new type of customer service and its responsiveness is good for the consumer. It is no longer about the one way messaging of large corporations and the frustration of waiting in line for hours to return an item or on the phone to resolve an issue. With new tools in place consumers expect and demand real time resolutions from business. 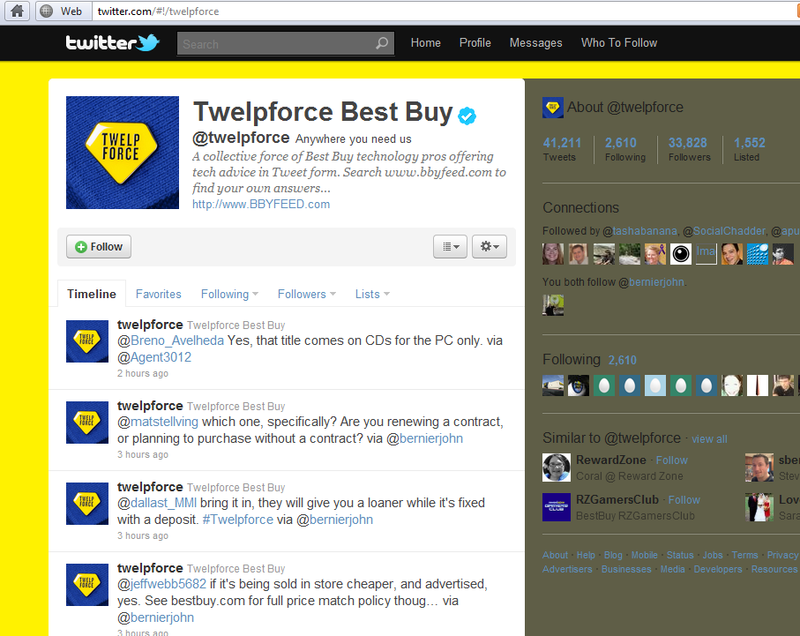 Below is an example of twitter being used by Best Buy as a customer service portal. Your customers live in one of the most connected areas in the world. For most people in Canada the internet is the first place we turn to search for information on whatever it is that we need to buy or want to research. In addition consumers can now use their social networks for “shopping” referrals. Our social nature is such that we like to share our opinions and thoughts on various topics and services daily whether offline or on. Your customer has already figured out that they are in control of the conversations around what they buy, where they eat and where they can shop and know that they can easily share with others their reaction to each and every business transaction. Instead of fearing this real time interaction wise businesses should embrace the tools afforded by this new media and use them to their advantange by implemeting solid social interactions and real time relationship building. Sadly small business entrepreneurs are often not aware of the cutting edge “thought leadership” that informs business intelligence in today’s marketplace. They are too busy putting out the “day-to-day” fires to follow what is happening right NOW in the marketplace with respect to the dramatic change between consumers and businesses. They are too busy working in their business to work on their business. Especially in Canada, were in spite of a serious recession to the south, the order of the day is “business as usual”. This means the same old methods of marketing, if any, are utilized – some print, mostly world of mouth. They continue to act as if we are in a bubble not connected the rest of the world which allows them to ignore both the canary in the coal mine and/or the elephant in the room asking – What to do about Social Media? While Canadian small businesses struggle with how to grow in a rapidly shifting market – our American cousins are moving ahead with adoption of social media very quickly. Faced with a serious recession and uncertain future they have little choice. Radical change drives new mindsets. Canadian businesses, on the other hand, tend to be risk averse and the adoption of Social media remains in their minds as a big question mark with no value assigned and no plan for adoption in place. They remain in “wait and see” mode. Like I said, can learn a lot from studying the competition. When it comes to social media this service is now offered by several vendors. Small business success with social media will depend on who wise business leaders decide to work with and how they deploy their strategy (plan). The following are frequently heard responses to my inquiries as to who is being considered for this task…. 2. A big ad agency who is learning as they go and often outsourcing this “special” area of expertise to a consultant. It is clear that corporations who are leading in the adoption of social media are using business intelligence to inform them. They are discovering that a business with A SOCIAL media focus who works to integrate it across all of its departments is going to be more sustainable in the long run and will out perform its competition. This is a perfect example of business intelligence supporting better business decision-making. I recently discovered that one of the big players in this space is IBM. They claim that they have been exploring and experimenting with social media internally for the past 6 years starting with blogging. They are now offering consulting for small, med and large businesses on how to adopt Social Media. Studying your competition has always been a good strategy for learning how to be a success in business. Common perception is that the bigger the business the more successful they are. How a big business does sales and marketing, innovates new products and connects with suppliers gives the entrepreneur ideas and insights on how they can grow their own business. At business schools their success stories inspire the new MBA’s and are called case studies. In the new world of social media you can either read all the latest books or blogs or listen online in order to find out who is executing successfully and how. It is all so new with only 5 years of adoption – 10 if you take it from the start of Google and Search that there is no one person with all the answers…Social Media can be very basic or highly customized. On Friday while mining for gold in my social media feeds I found a great webinar on Social Media by IBM. I have listened to it a couple of times and made detailed notes. I am grateful that they shared their expertise and practice what they preach. Ironically I also chose last year to launch my focused services making the quantum shift from Sales & Marketing to Search & Social Media after over 20 years in the new media, SALES and marketing space. For me there is a direct correlation between the two offerings and the upgrade of the first to the second. It goes something like this Sales = Search, Marketing=Social Media. Over the last few years the line between the two has been blurring and it has become very difficult to keep each one in its box. IBM is already stressing the urgency for businesses to adopt Social Media in order to drive sales — saying already 57% of businesses are more likely to out perform their competition if they share their “expertise” and respond to customers thru social media. My number one take away from the IBM webinar has to do with Sales – one of my areas of expertise. A response to the question “How to you build trust?” was “This is not about fast and furious… this is a about relationship building, gaining friends and building trust over time” The bottom line, for me, remains that business intelligence in creating a SOCIAL business continues to lie in a solid understanding of the technology SALES process. Thrilled to find an article today on the release of another of the One to One Marketing book series. I began my serious study of marketing back in the late 90’s when I read the book “The One to One Future” by Don Peppers and Martha Rogers. It really inspired me and opened my eyes to the possiblities of a new way of marketing. The title of their newest book is The Marketing Century: How Marketing Drives Business and Shapes Society. In the UK they are marking 100 years of Marketing. I am celebrating 100 years of McLuhan. If we place the two timelines side by each I am sure that we could see that it is Social Media that is the greatest force on shaping society today. Watch the video below in which Martha speaks about the skill set of a top sales person in the age of relationship marketing where the skills of sales expertise, creative and analytics are big factors. What she says really resonates with my experience of the last decade as a Sales and Marketing consultant while touching on the new position that I have adopted. The backlash against measuring influence on Social Media is rising. Before you get up on your soapbox and rant however, I suggest you step back and look at the BIG picture in an attempt to “understand media” and the role that this tool and tactic plays in the evolution of Social Media. As usual I will refer to that 100 year old master of communications – Canadian Marshall McLuhan – born in Edmonton, Alberta under big blue skies and next to a deep river valley, which he said, gave him a perspective on what it is to be human in relation to nature: a dot on the horizon. Further, I will remind you that these new measures of influence are based on algorithms designed by some programmer and has nothing to do with what you know yourself to be. Then again our entire ECONOMIC culture is based on similar concepts – your credit score for example. This is the tyranny of numbers divorced from the spirit and wisdom of ART. This has been the history of the world for the past 500 years. Get over it. Marshal McLuhan first noted the retribalizing effect of electric technologies; they collapse space to a point, effectively recreating the continuous, ambient (aural) awareness of the tribe. The tribe is completely connected. All of its members have direct access to one another; there is little hierarchy, instead, there is an intricate set of social relations. Everyone thoroughly understands one’s own place, and that position is constantly reinforced by the other members of the tribe. Tribal society is static, which is to say stable, over long stretches of time – at least tens of thousands of years. A bit mind blowing eh?? McLuhan is not easy. What he said, to this day, does not sit well with those who do have a firm grasp on the “The Laws of Media”…. 2. Building community around your product and or offering – which by the way – better share some of the core values that they hold dear if you hope to attract, engage and build a relationship that leads to a SALE. Thank Q. Once you have “their” attention the usual social tribal nice-ities are in full effect. The masters of this tradition – our first nations people, in spite of their dismal position in our current economic system, are one of the best role models we have. Study their traditional ways and modern moves —- in which everyone has a voice, everyone can speak in turn for as long as they wish until they have fully expressed themselves….everyone is heard…and everyone is RESPECTED. As a search and social media strategist I may or may not be asked to show “social proof” of my skills. My knowledge of Media is not consider important – the average Canadian business client wants to know how much it will cost. Typically, they are not even aware of how many fans I have on my fb page, the type of posts I make, how many followers I have on twitter or what I tweet about. They then say in no uncertain terms that they are “too busy” to find out. My response? Time waits for no man or woman. If they choose to ignore the fact that Canada is one of the most connected and media literate cultures on the planet so be it. 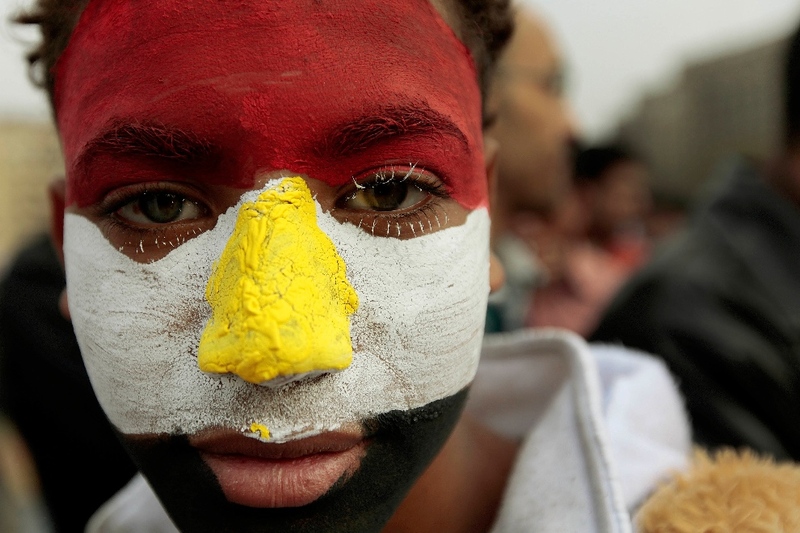 Their loss both financially and socially…. In the interim, I continue to try to connect to my “tribe” – the CREATIVE and Media Literate. Best described by Derrick de Kerkhove in his book Brainframes as fast paced, flexible, informed, perceptive, ethically aware, technologically aware, environmentally conscious, knowing more than one culture, speaking more than one language, thinking globally, acting locally, ALL with Total artistic perception. The role of the artist is to update consciousness. It is not a state that most enjoy. Change is uncomfortable and analysis of what that means with respect to big picture factors is not for the status quo. Give them another five years and they will be all on the bandwagon bragging about how much influence they have in their online communities. Human Nature being what it is, not much changes in the hearts, minds and egos of men and women.